CES 2014, LAS VEGAS – January 8, 2014 – HARMAN International Industries, Incorporated, is proud to present the versatile new AKG Y55 headphones, made to DJ standards, and offering affordable access to the renowned AKG sound quality with emphatic bass response. Designed for the rigors of the job, AKG Y55 headphones are perfect for those on the go, with a sense of style and a desire to own the house. “AKG knows how to deliver professional sound quality in a consumer headphone that inspires both music lovers and players,” said Michael Mauser, president, Lifestyle Division, HARMAN. "With the AKG Y55 headphones, we've combined superb, detailed sound with innovative design that looks great and performs under the most demanding conditions, and with features that please the most demanding tastes." AKG's Y55 DJ Headphones deliver legendary AKG signature sound with enhanced bass. Optimized for a fast-paced, on-the-go lifestyle, they feature a detachable cable, a 3.5 to 6.3 plug adapter and a 3D-axis fold-flat design that travels easily. AKG Y55 headphones take the job seriously, too, made to DJ specs: the closed back speaker design prevents sound bleed and ambient noise disturbance; and the snug fitting ear cushions are made to be comfortable on the job all night long. 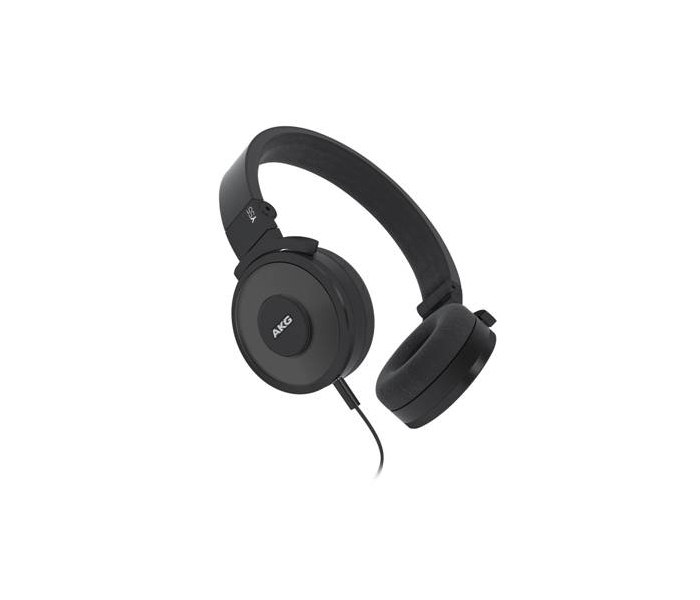 The ear cups rotate to allow DJ-friendly monitoring that won't slow you down. An in-line universal remote/mic gives complete control and accessibility without missing a beat. AKG Y55 headphones look as good as they sound, too, in 4 cool colors and a high-tech satin finish. Customers choose AKG because they require concentrated listening across a wide frequency range with enhanced bass response. And nobody knows sound quality and overall accuracy in sound reproduction better than AKG. AKG Y55 headphones let you focus on your sound, not on the sound around you. The snug-fitting closed-back design cancels ambient sound from both directions while delivering on long-term comfort. Mobility is key when you’re on the go and into your show. An in-line microphone with universal remote allows you access to phone calls without interruptions. Compatible with most smartphones and Apple devices. 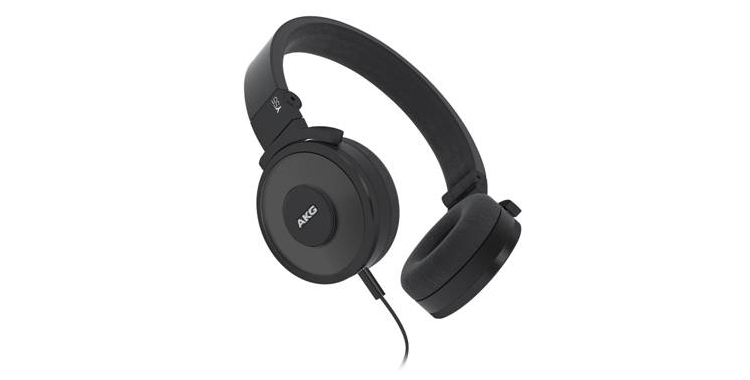 Consulting DJs asked for the features that AKG incorporated into the AKG Y55 headphones. The single-sided cable eliminates tangling, and the fit won’t shake loose yet stays comfortable past the two-hour mark. The included 1/4-inch (6.3-millimeter) jack adapter eliminates incompatibilities, and the fully rotating ear cup make one-ear monitoring a breeze. Wear and tear on your gear is always something to avoid when traveling. That's why the AKG Y55's cans fold down flat, easy to store and transport damage-free over the long haul. All this rugged design comes in four stylish colors and a satin-acrylic finish to keep you looking cool under pressure. The AKG Y55 in-ear headphones are priced at (MSRP $129) and are available at www.akg.com.